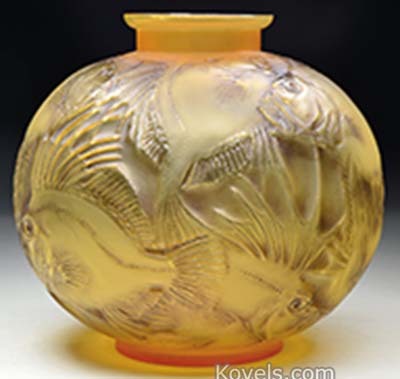 Lalique glass and jewelry were made by Rene Lalique (1860-1945) in Paris, France, between the 1890s and his death in 1945. 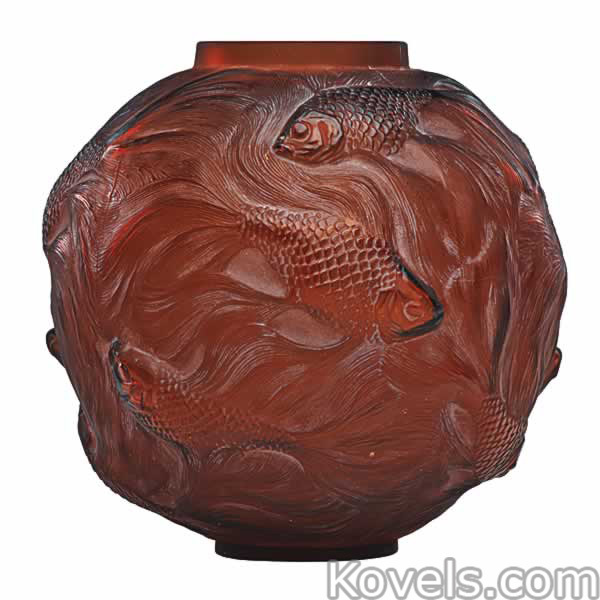 Beginning in 1921 he had a manufacturing plant in Alsace. 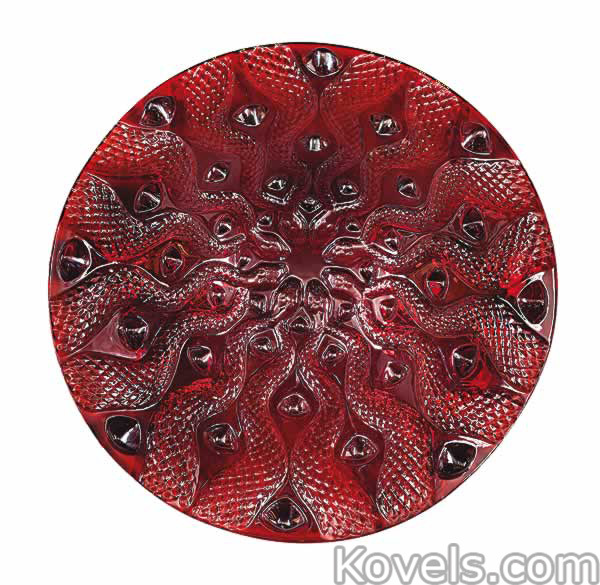 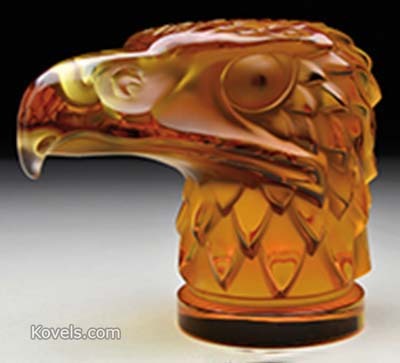 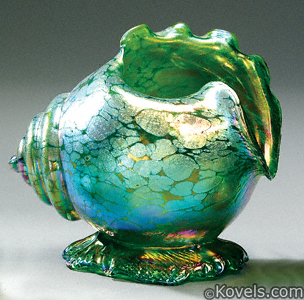 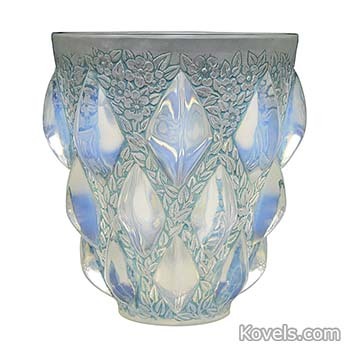 The glass was molded, pressed, and engraved in Art Nouveau and Art Deco styles. 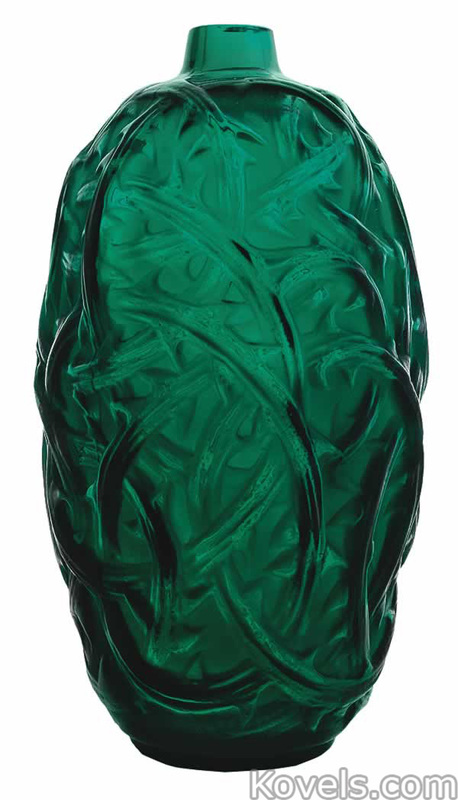 Most pieces were marked with the signature R. Lalique. 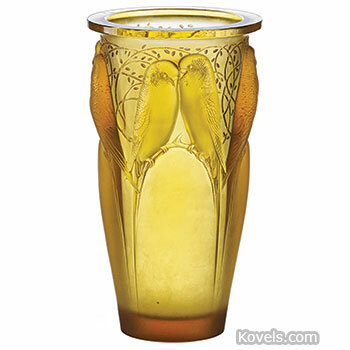 Lalique glass is still being made. 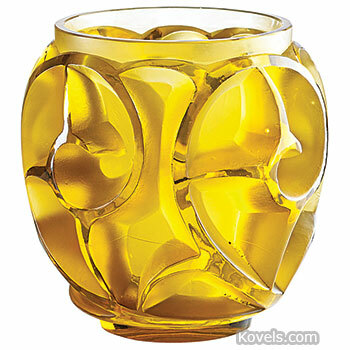 Most pieces made after 1945 bear the mark <i Lalique </i. 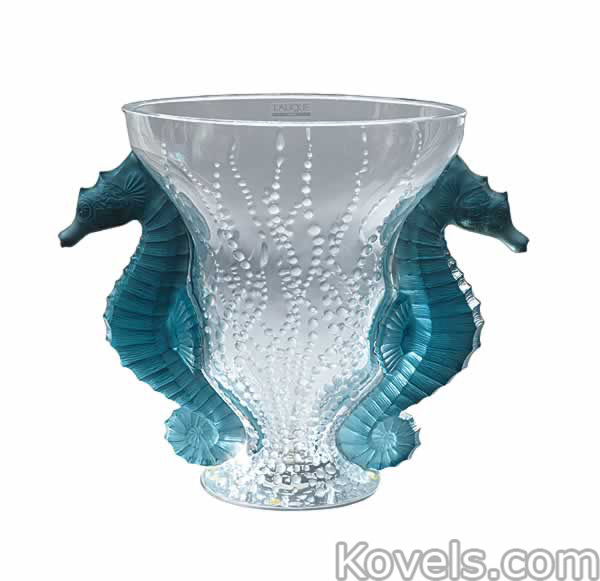 After 1978 the registry mark was added and the mark became Lalique ® France . 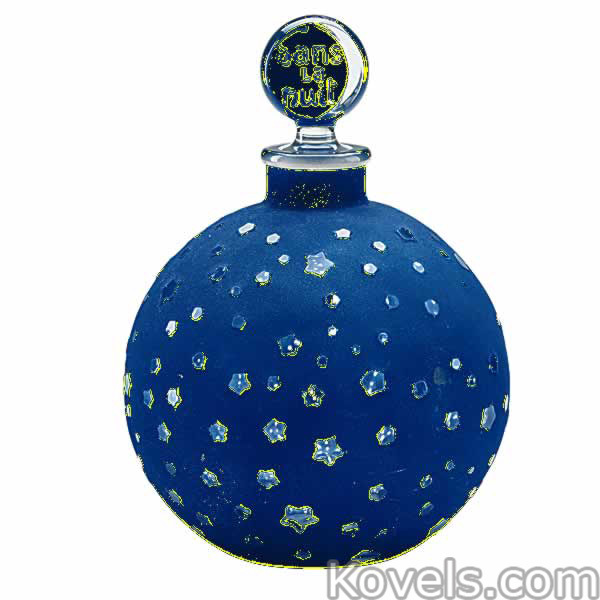 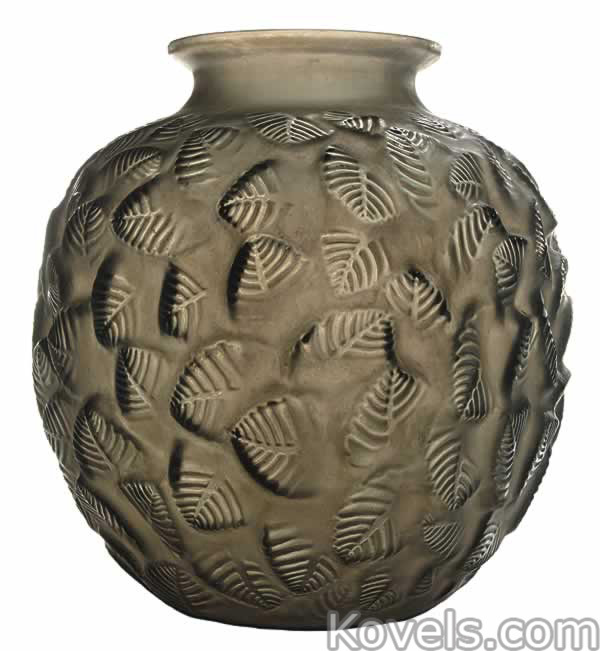 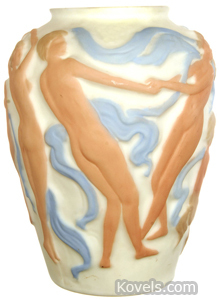 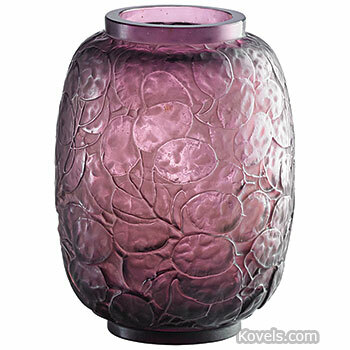 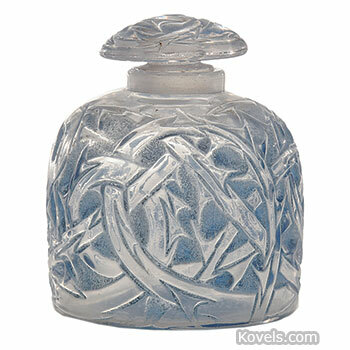 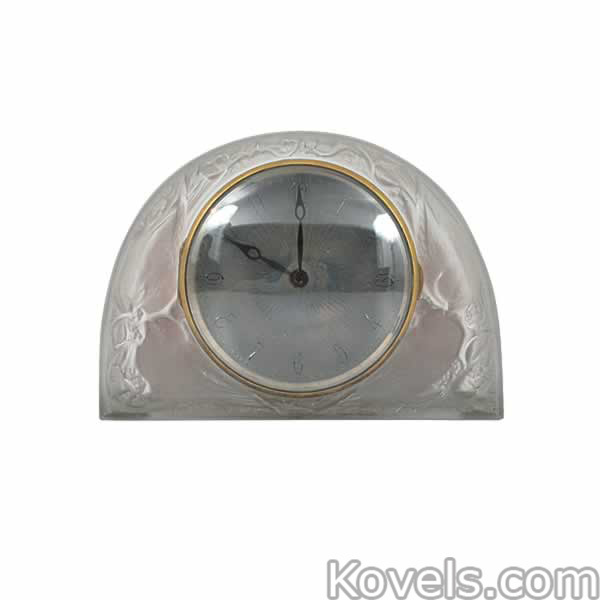 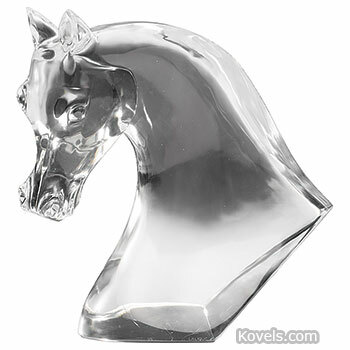 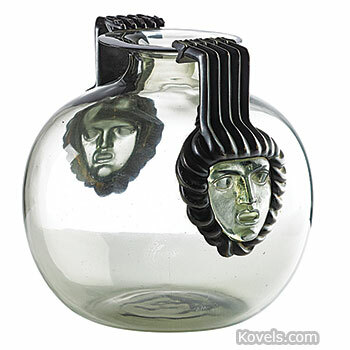 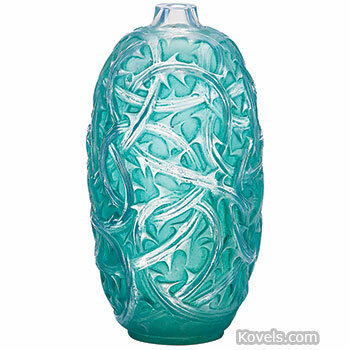 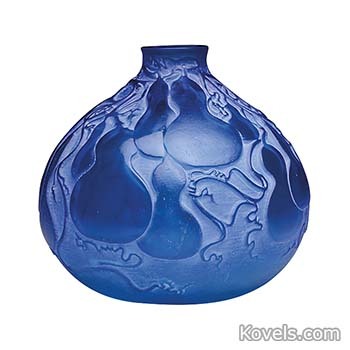 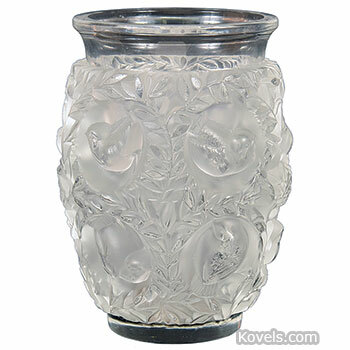 In the prices listed here, this is indicated by Lalique (R) France. 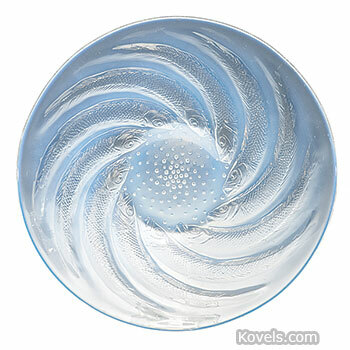 Some pieces that are advertised as ring dishes or pin dishes were listed as ashtrays in the Lalique factory catalog and are listed as ashtrays here. 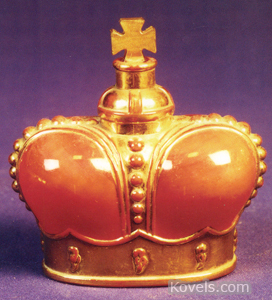 Names of pieces are given here in French and in English. 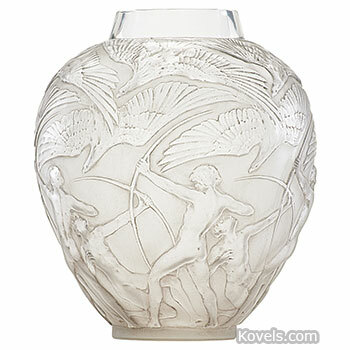 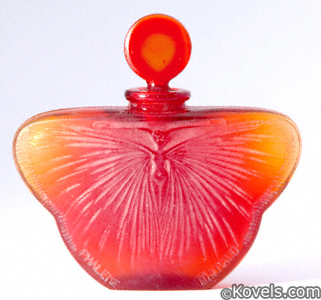 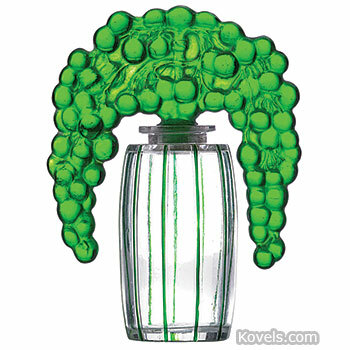 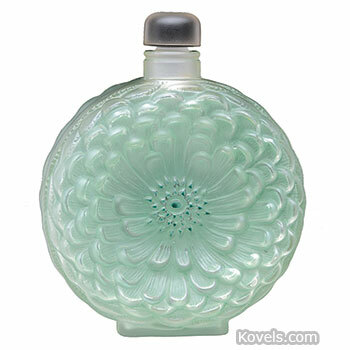 The Lalique brand was bought by Art & Fragrance, a Swiss company, in 2008. 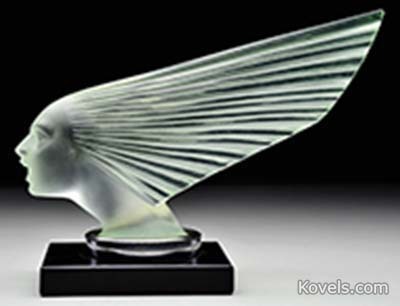 Lalique and Art & Fragrance both became part of the Lalique Group in 2016. 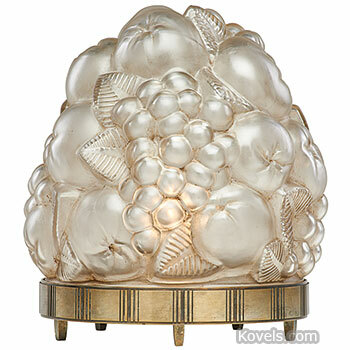 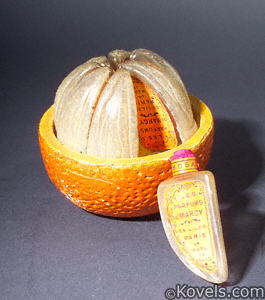 Jewelry made by Rene Lalique is listed in the Jewelry category.